« Older: SAGA Calendars launched at The Lime! 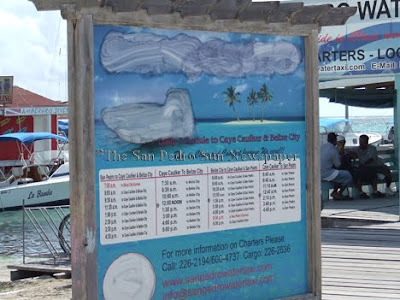 Information is still sketchy but The San Pedro Sun has confirmed that the San Pedro Belize Express Water Taxi and the Caye Caulker Water Taxi have both changed docking locations. 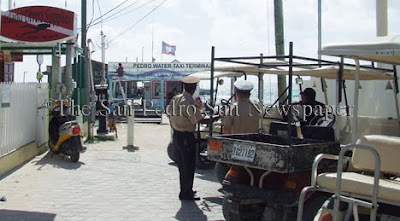 The sudden change came after internal problems within the San Pedro Belize Express Water Taxi led to Giovanni Marin pulling out of the cooperation and joining the Caye Caulker Water Taxi. 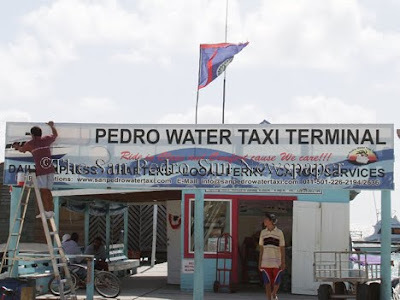 In speaking briefly with The Sun, Marin stated that the current users of San Pedro Belize Express will have to find a new name for their water taxi, since that name is registered under his name. Marin stated that he is willing to challenge it in court. For the time being, members of the San Pedro Police Department have been dispatch to both water taxies to prevent a confrontation. The San Pedro Sun will have full details in this week issue of the newspaper.